Harrison's rocks is owned by the BMC (British Mountaineering Council) and is managed on their behalf by the Harrison's Rocks Management Group (HRMG). Harrison's Rocks is one of the most popular sandstone crags and is approximately one mile south of the village of Groombridge in the county of East Sussex. 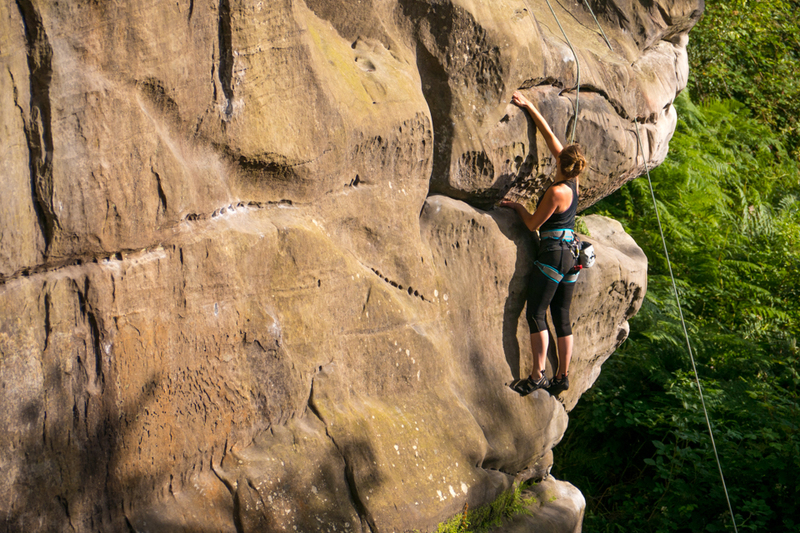 There are an extensive amount of climbs at Harrison’s ranging in style and grade. 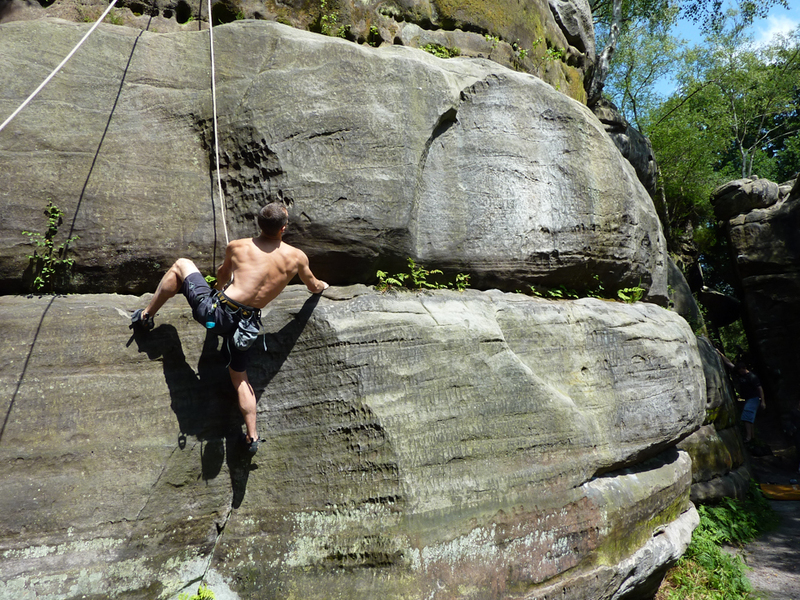 Most of the routes have bolts in place for setting up top ropes, but still bring long slings and static rope with you. 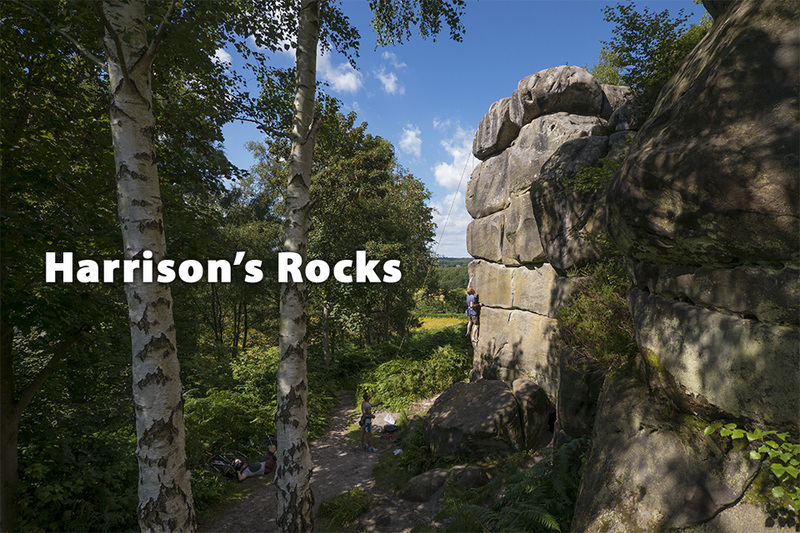 Harrison's Rocks is situated in a beautiful woodland setting, and is suited to everyone, from beginners to experienced climbers, and is a popular choice for families. The Forestry Commission own and maintain the toilet facilities, car park, camping area and surrounding woodland. 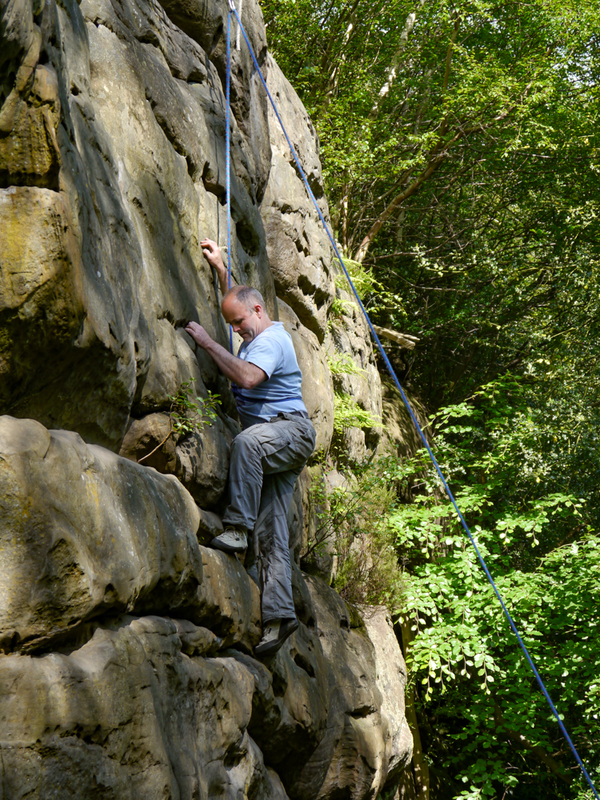 Dogs are welcome but they must be kept on a lead near the climbing areas. Please note: In response to antisocial behaviour in the Harrison's car park, it has been deemed necessary to close the car park in the evenings. There are no set hours currently but a rough closure time between dusk (pm) and dawn (am) is now in effect. The campsite is still open and additional emergency access information will be available in the car park shortly. 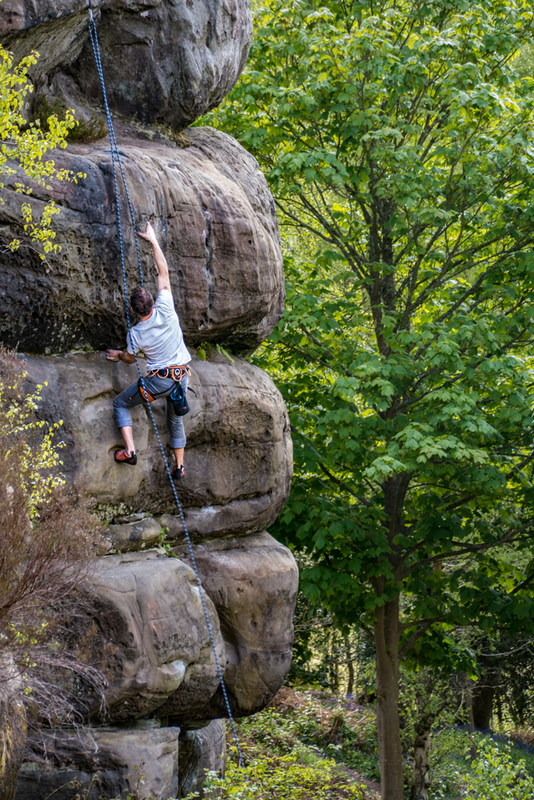 If you experience payment issues then call the Forestry Commission to pay over the phone 0300 067 4480 Mon - Fri 9am - 4pm (leave a message if out of hours). The money raised from the camping and parking fees go towards the upkeep of the toilet facilities to enable the campsite to remain open. 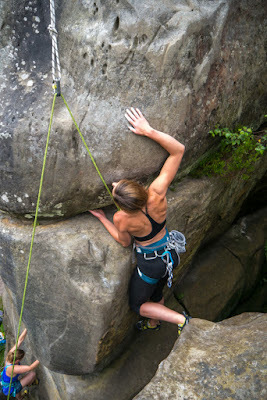 Isolated Buttress - you can no longer step across onto the Isolated Buttress. For now climbers will have to use their own means to get across. Any ropes set up must be taken down at the end of the day. Update: It has been decided (2018) that a bridge will be built to ease access onto the isolated buttress and to reduce erosion made by the recent solo / traverse methods. Isolated Buttress Bolts - The backup bolt above Wailing Wall has failed, do not use these sets of bolts.